In my BlackBerry Bengali texts were appearing as boxes. Other phones like iPhone or Android could show Bangla with some issues but at least you could make something out of it. So I was looking for a solution. So did some googling as usual. The main thing is in order to see Bangla or East Asian language your phone need to have support for East Asian language and font support. And this is not easy to enable. You have to do it with BlackBerry Desktop manager software. It will load all the applications installed in the device and show you a list of it. 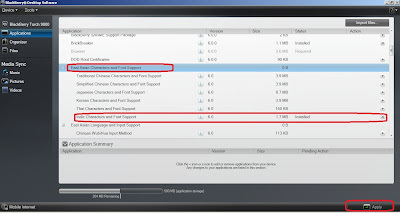 Now scroll below and you will see item called "East Asian Characters and Font Support". Click on the left + sign if it is not already expanded. Here you will see an item called "Indic Characters and Font Support". Beside this item click on the "+" sign to install this item. If already installed it will have the text Installed like mine. Now click on the Apply button at right bottom and it should start installing the necessary components for you. Give it a some time. 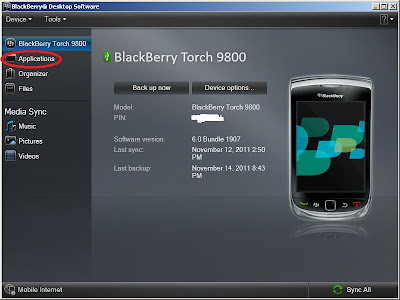 Do not disconnect your BB during this time. Your device will reboot. And now you are done. 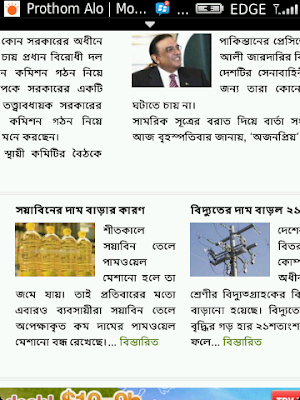 Try to browse for any Bangla web site now. You should be able to see Bangla now in Facebook app or in web browser. Love to see my language on BB. how to do that in samsung s2 ? This is one of the successful and good post.i like your blog tips.This is one of the reliable post. It works for me on Blackberry Bold 9780. For My bb curve 8520 ? ওতো আমার মাই টিপে এখনও আমার গুদের রস বার করতে পারেনি বৌদি, ও চুদবে কি করে?